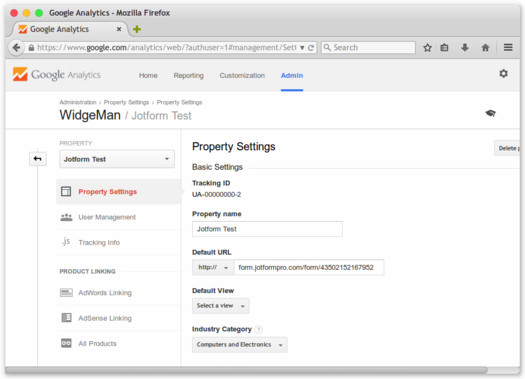 JotForm Widgets. 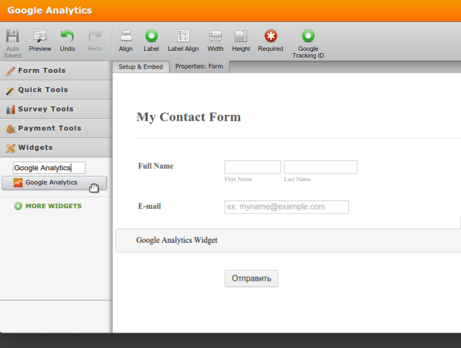 Create better forms using form field widgets. Ever wanted to find out how to drive more visitors, boost your sales or improve your mobile apps where your JotForm is embedded? 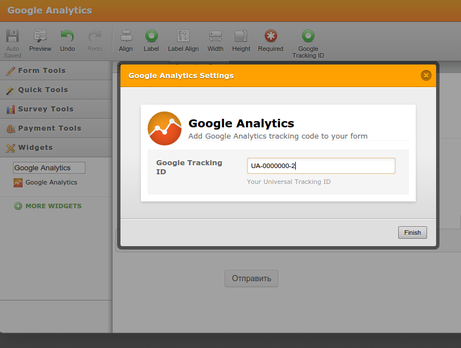 Just insert your Google Analytics Universal Tracking ID in this widget, and the Analytics tracking code is set-up and ready to collect valuable info. Doesn't work with the new Universal Analytics. What is the purpose of this ?? 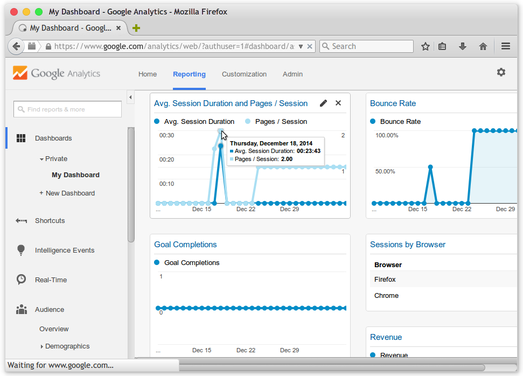 The Google Analytics Widget allows you to embed the UA code onto your form source code. 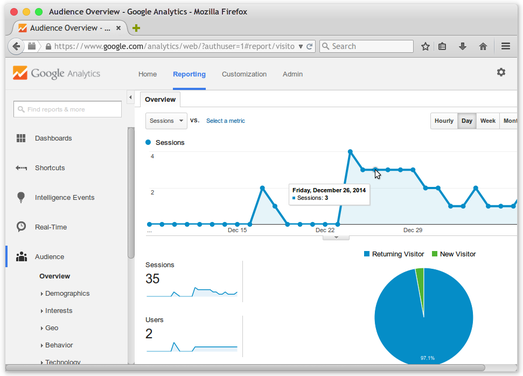 This will help in tracking the activities and behaviors of visitors on your form.